On 24 October 2018, the Swiss Federal Council published the draft bill for a revision of Chapter 12 of the Swiss Private International Law Act (PILA) the lex arbitri that governs international arbitration proceedings seated in Switzerland. The proposed amendments aim at selectively adjusting and modernizing the statutory rules governing Swiss seated international arbitration proceedings, without however diverging from Switzerland's philosophy to afford parties maximal autonomy and procedural flexibility. 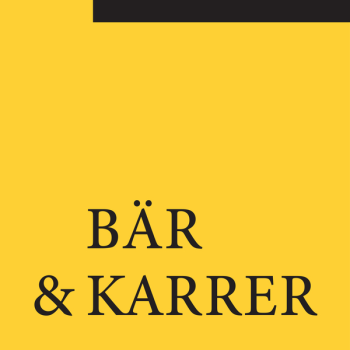 The draft bill on the one hand introduces provisions that write down established case law of the Swiss Federal Supreme Court and on the other hand details provisions that adapt the Swiss international arbitration law to recent developments to ensure continuation of Switzerland's arbitration friendly approach. Notably, the draft bill introduces the possibility of filing legal submissions before the Federal Supreme Court in English. In addition, the revision contains minor linguistic and technical amendments. The draft bill no longer refers to provisions of the Civil Procedure Code but directly incorporates the respective provisions. sees no need to implement protective provisions with regard to sports arbitration disputes in particular in the light of the European Court of Human Rights' recent decision confirming the independence and impartiality of the Court of Arbitration for Sport seated in Lausanne. The draft bill was preceded by a preliminary draft published on 11 January 2017. During the consultation procedure the affected public, including the Swiss Chambers' Arbitration Institution SCAI, the Swiss Arbitration Association ASA and ICC Switzerland, was invited to provide comments on the preliminary draft. The reactions were predominantly positive and the Federal Council took these comments into consideration when drafting the current revision. which the Court relied on the circumstances at the time the arbitration proceedings were initiated. While the preliminary draft provided for the possibility of a valid conclusion of an arbitration agreement if only one party fulfills the form requirements, the current draft bill maintains that both parties must comply with the form requirements (i.e. writing or other means of communication that permit the arbitration agreement to be evidenced by text). The Federal Council has thereby reacted to concerns expressed during the consultation procedure. The draft bill expressly allows the conclusion of arbitration agreements by unilateral acts (e.g. last wills, tender offers, establishment of foundations or trusts) or by incorporation of an arbitration clause in articles of association. Where the parties have not agreed on a procedure on how to appoint or replace the arbitrators, the juge d'appui (i.e. the state court assisting the arbitral tribunal) at the seat of the arbitral tribunal is competent to appoint the arbitrators. However, where the arbitration agreement does not mention a seat or only generally refers to "arbitration in Switzerland", and no seat is determined by the parties or an arbitral institution, the arbitration agreement cannot be enforced under the current law. The draft bill seeks to change this by providing that the juge d'appui first seized is competent to appoint the arbitral tribunal. In case of multi-party arbitration, the juge d'appui is competent to appoint all members of the arbitral tribunal. As regards the independence and impartiality of the arbitrators, Swiss law recognizes that arbitrators have a duty to disclose any circumstances that may give rise to justifiable doubts as to his or her independence or impartiality. This duty is now expressly codified in the draft bill. The draft bill provides further detailed provisions on the challenge procedure before the juge d'appui, which apply in case the parties have not determined their own procedure either in their arbitration agreement or by referring to a set of arbitration rules. The current law contains no provisions on the challenge procedure and the applicable time limits. Finally, the draft bill sets out provisions allowing a party to request the dismissal of an arbitrator if he or she is no longer able to fulfill his or her obligations. The draft bill provides that the proceedings before the juge d'appui are to be conducted under the provisions of the Civil Procedure Code on summary proceedings. Further, in order to provide a mechanism to support arbitration proceedings seated abroad, the draft bill introduces a new provision providing for the competence of the juge d'appui to assist the enforcement of preliminary measures and the taking of evidence in Switzerland. During the revision work the establishment of a centralized authority acting as juge d'appui was specifically considered. Considering the low number of cases that are effectively referred to the juge d'appui, the Federal Council in our view rightly does not foresee the establishment of a national juge d'appui in the draft bill. negatively. It remains to be seen whether Parliament will embrace this provision. In addition to the proceedings to set aside an arbitral award, the Federal Supreme Court has recognized in its decisions in recent years the remedies of correction, clarification and supplementation as well as the remedy of revision of arbitral awards in analogy to provisions applicable in court and domestic arbitration proceedings. The draft bill now seeks the express codification of these legal remedies. The draft bill will now be discussed in Parliament. Currently, it is unknown when Parliament will deliberate and vote on the draft bill, and it is therefore difficult to predict when the new provisions will enter into force. As regards the transitional law, it should be noted that the new provisions will apply upon formal enactment. The revised provisions will also apply to arbitration agreements that have been concluded before enactment of the revision.